Exactly ten years after its debut at the Salone del Mobile di Milano in 2006, the collection of Oops tables expands. The designer Monica Graffeo has created round and rectangular fixed tables with large tops to accompany the original extendable versions. 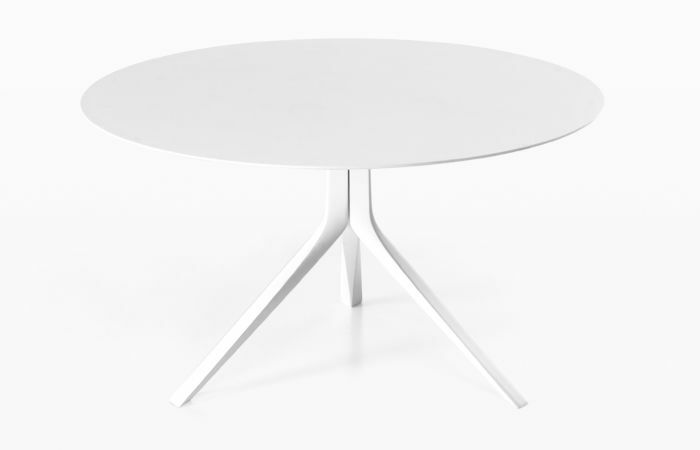 Essential, versatile and ideal for the broadest range of spaces, from the home to contract furniture projects, these tables have the same distinctive pressure die-cast aluminium legs; four legs for the rectangular top version, and three or four for the round top version.